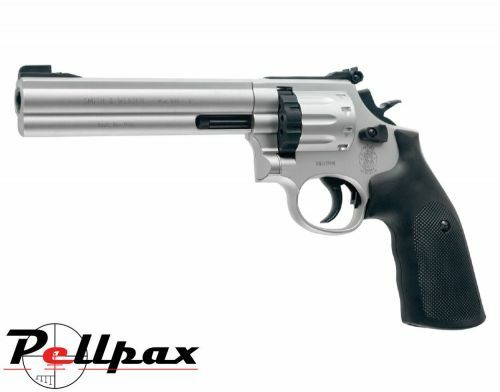 The 6" barrel of the 586 is exceptionally well made and has been rifled for added accuracy and precision and extends the working life of the revolver because of its all metal construction. The 586 matches the legendary .357 magnum in both size and weight enhancing realism. The 10 round pellet magazine combines beautifully with the revolvers semi automatic action create an air pistol that is suitable for a verity of shooting disciplines. This awesome pistol comes in a hard case to keep it safe during transit and storage.